Here some photos of my preparations for the exhibit, "the work behind the Work" at Bethany Lutheran College. This show focuses on artifacts of creative processes. 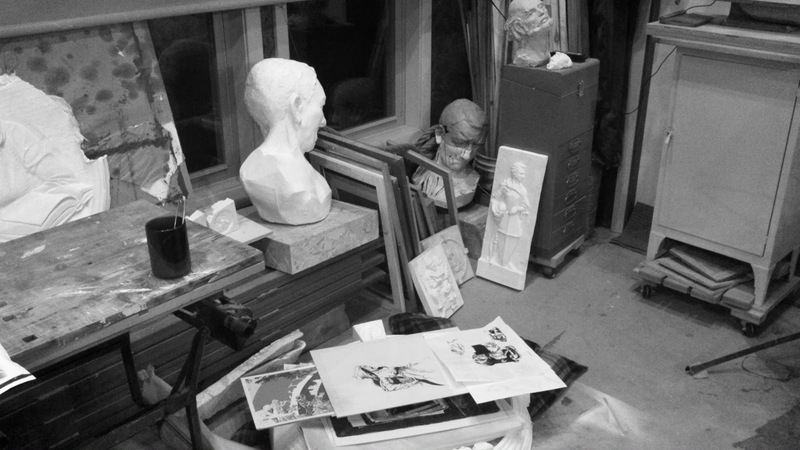 If you go to see it, expect to see negative rubber molds, carved wood blocks for printmaking, rubber molds and scale models for sculptures, and preliminary drawings behind the finished works. There will also be a few finished works, full scale casts, and some previously unseen personal work. 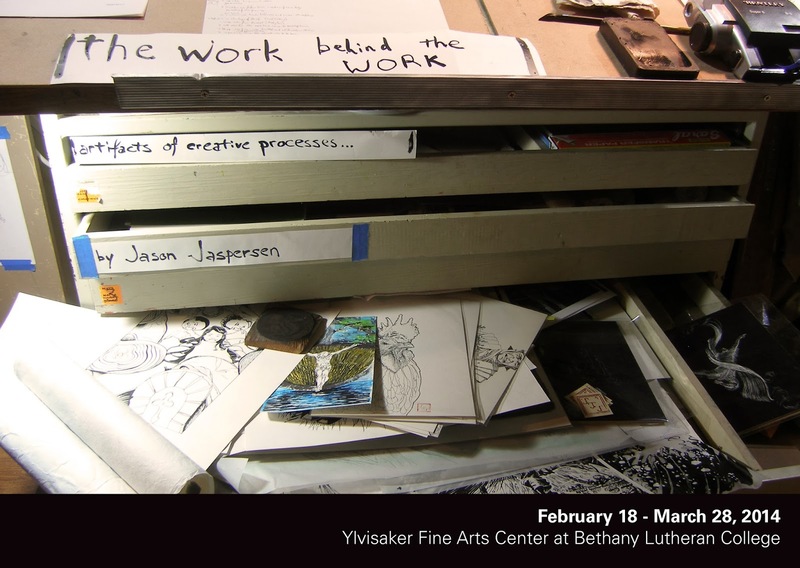 Bethany alumnus Jason Jaspersen's Mixed Media art show titled "the work behind the Work: artifacts of creative processes..." will be on display in the Ylvisaker Fine Arts Center Gallery from February 18 to March 28, 2014, with a gallery talk and reception on Thursday, February 27 at 7 p.m.
Gallery hours are 1-9 pm Sunday to Thursday, 1-8 pm Friday and Saturday.